Hume Medicare Local shoot for media release. Mark Ashcroft & Jane Newland (Alpine Health) & Dean Valente (HML). 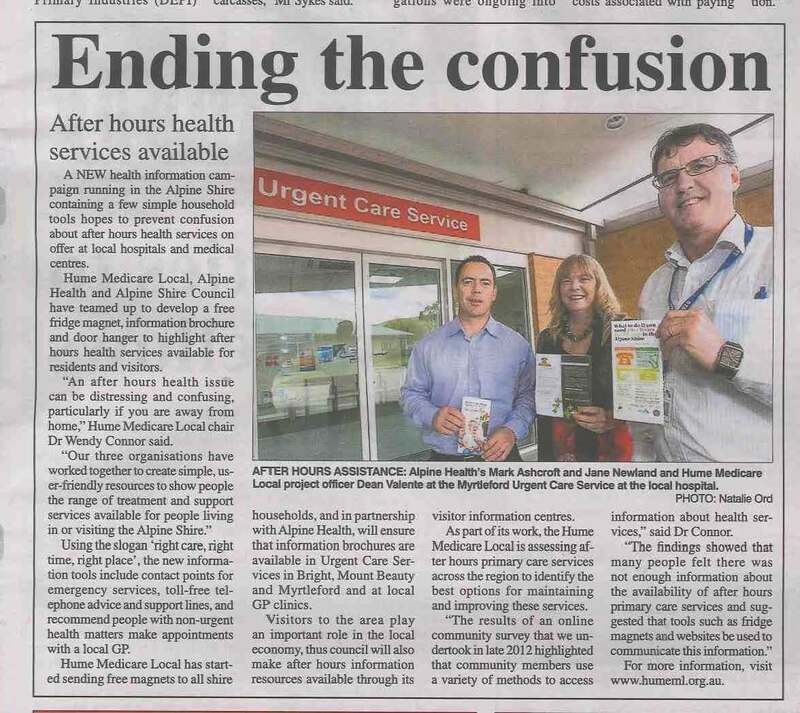 Article from Alpine Observer-Myrtleford Times. Photo from shoot commisioned by Hume Medicare Local for media release to announce their new After Hours Emergency brochure, fridge magnet and door hanger in the Alpine Shire. Media release from Alpine Observer-Myrtleford Times below. Thanks to Dean Valente from HML & Mary-Anne Scully (communications consultant) for a great shoot!